Orlando, FL – March 12, 2019 – Ranger Ready Repellents, a new mosquito, tick and fly repellent has engaged, Matt Adams, the founder and host of Fairways of Life. A renown golf commentator, Mr. Adams is widely recognized as an expert on golf and how golfers from beginners to the pros get more out of the game. Ranger Ready Repellents is working together with Mr. Adams to help build awareness among golfers around the threat of tick-borne diseases like Lyme disease. “This year, experts anticipate about 7,000 new cases of Lyme disease will be diagnosed in the U.S. each week”, said Chris L. Fuentes, founder and CEO of Ranger Ready Repellents. “The peak months for tick bites are May thru August when over 300 million rounds of golf are played across the United States every year,” “Ranger Ready is creating a public service announcement series to provide important safety tips for golfers to play every round protected from tick and insect bites” noted Fuentes. “We could not be more pleased than to have trusted golf insider, Matt Adams help share this important message that could save your life.” said Fuentes. “It’s not often that you get to work with products you actually get emotionally engaged in” said Matt Adams the day after filming the public services series How to Play Every Round Protected. “Our goal is to help golfers around the country avoid being an unfortunate statistic and start being protected from tick and mosquito borne diseases,” said Adams. Ranger Ready utilizes the active ingredient Picaridin 20%, which is recommended by the CDC as a safe, effective long-lasting repellent. “Picaridin has been safely used in Europe for over 25 years as an effective and safe alternative to DEET”, said Fuentes. “Picaridin is safe for adults and children over one year old. We wanted to create a bug spray people would want to wear and was effective for the pros who have to wear protection everyday,” noted Fuentes. Fairways of Life: The Fairways of Life Show, the most listened to golf in the world, is an entertaining and fun platform for inside information, unforgettable interviews with the game’s legends and stars, as well as lively interactive discussions about the game, travel and the latest in golf equipment. Matt Adams’ passion for the game and for life creates a show that’s unlike any other and will keep you informed, entertained and engaged. It can be heard live Monday – Friday at 8:00 a.m. EST on the Fairways of Life Apps (available in both iOS and Android) and www.FairwaysofLife.com. announced the signing of nationally recognized golf instructor, Travis Fulton, as a brand ambassador. Named a Top ranked teacher by GOLF Digest, while also serving as a consistent Golf Channel analyst and contributor to PGATOUR platforms, Fulton has emerged as a golf industry instruction leader and boasts a strong following among serious golfers. As a brand ambassador for Ben Hogan Golf, the Company will utilize Fulton in a variety of capacities, including customer engagement, content development, product testing and more. Fulton will also utilize his active social media platforms to promote the Ben Hogan Golf brand and products. Here’s a name you will want to remember: Angel Yin. 18Birdies is thrilled to announce that Yin will join the growing talent on the 18Birdies Ambassador team. At just 19 years old, the second-year LPGA Pro is already making waves in the golf world. With a fearless personality on the course and youthful sense of humor off of it, Yin is giving golf a shot of energy. Just take a look at her on social media, and yes her handle is @angelyinlol. The California native picked up her first club at age six and drove the ball 150 yards. Now you will find few, if any, LPGA players that can outdrive Yin, and she will be the first person to tell you that. At 5’9”, her height and power give her an edge that puts Yin in an elite group of golfers. Yin consistently plays with veteran golfers many years her senior, but that hasn’t seemed to phase her yet. Starting her career on the Ladies European Tour, she earned her first career pro win at the 2017 Omega Dubai Ladies Classic. Yin made her waves in August, as was selected as a captain’s pick to represent the United States in the Solheim Cup, where she played alongside golf greats Michelle Wie, Lexi Thompson, and Cristie Kerr. Yin wrapped up a tremendous 2017 by securing five top-10 finishes while being ranked second in the Louise Suggs Rolex Rookie of the Year standings. She currently sits at 54th in the LPGA rankings and is only picking up steam. The 18Birdies Team is excited to follow Yin on her journey to the top! The <a href=”https://app.adjust.com/25db6u_6hqyhx?fallback=https%3a%2f%2f18birdies.com”>18Birdies app</a> is now available for <a href=”https://app.adjust.com/25db6u_6hqyhx?fallback=https%3a%2f%2f18birdies.com”>iPhone</a> and <a href=”https://app.adjust.com/25db6u_6hqyhx?fallback=https%3a%2f%2f18birdies.com”>Android</a> devices. <a href=”https://app.adjust.com/25db6u_6hqyhx?fallback=https%3a%2f%2f18birdies.com”>Click here</a> for your free download. For more information, check out all the latest news at <a href=”http://blog.18birdies.com/”>18Birdies.com</a>. 18Birdies was represented by Fidelity Sports Group in negotiations with IMG on behalf of Angel Yin. 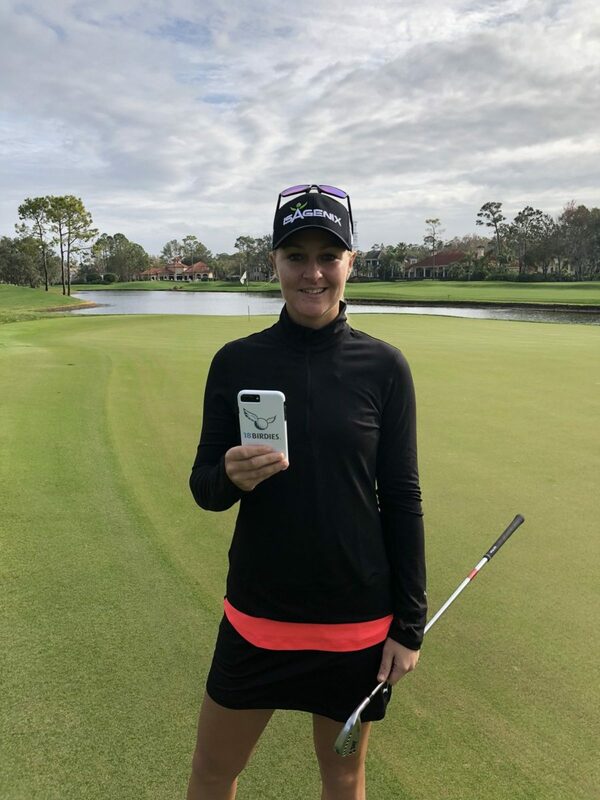 18Birdies is thrilled to announce the addition of Anna Nordqvist as a brand ambassador making her the first LPGA player to sign on with the company. The deal will include clothing logo placement, personal appearances, exclusive content for the 18Birdies social feed and Live Rounds in the app. Entering her 10th year on the LPGA and Ladies European Tours, Anna has had an accomplished career so far, totaling 8 wins on the LPGA Tour including winning the 2017 Evian Championship and 2009 McDonald’s LPGA Championship, being named the 2009 Ladies European Tour Rookie of the Year and 61 career Top Ten finishes. 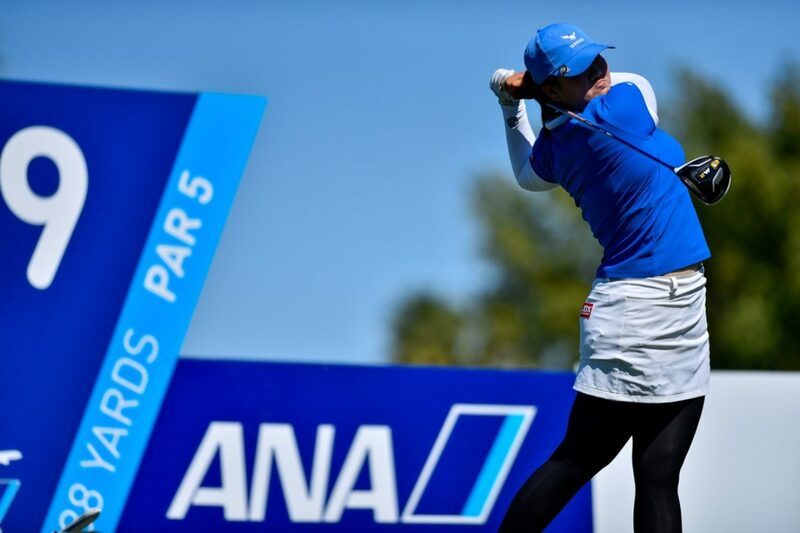 Anna joins a growing list of professional golfers who represent 18Birdies which includes Paige Spiranac, Tony Finau, Wesley Bryan, Harold Varner III, Willy Wilcox, Stephan Jaeger, Tom Lovelady, Lanto Griffin, Andrew Yun, and most recently Tania Tare. 18Birdies is represented by Fidelity Sports Group in ambassador negotiations and activations.